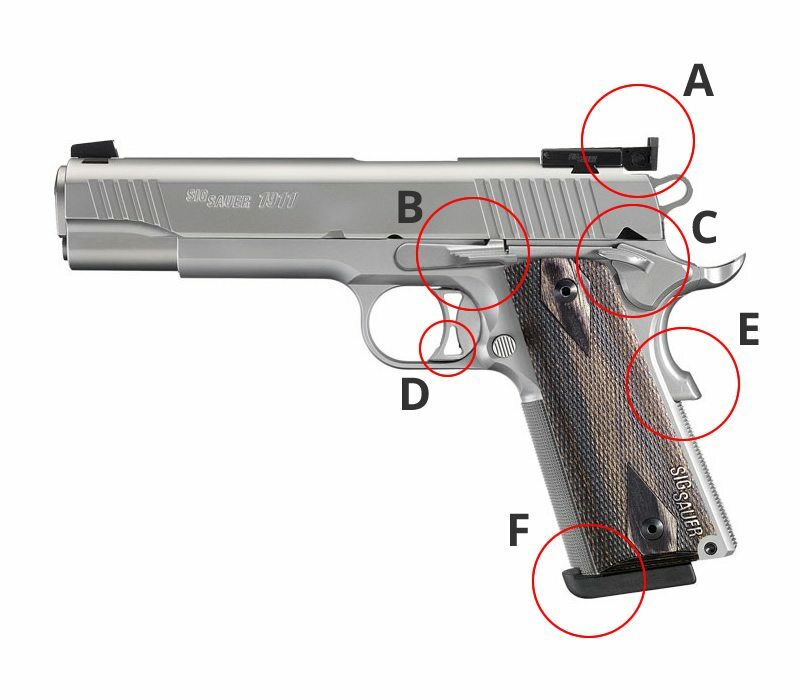 Shooting Review – Sig Sauer 1911 Match Elite 9mm | Eagle Gun Range Inc. The Sig 1911 Match Elite is a purpose-made competition pistol and the only 1911 available in 9mm from Sig Sauer. It’s also available in .40 S&W, but it is the 9mm that I spent time with this month and will be reviewing here. The Match Elite is interesting in that it has some features meant to make it a serious competition tool right out of the box. These along with the almost nonexistent recoil profile make this Sig 1911 one of the better off-the-rack, stock pistols on the market; if you like the 1911 platform. 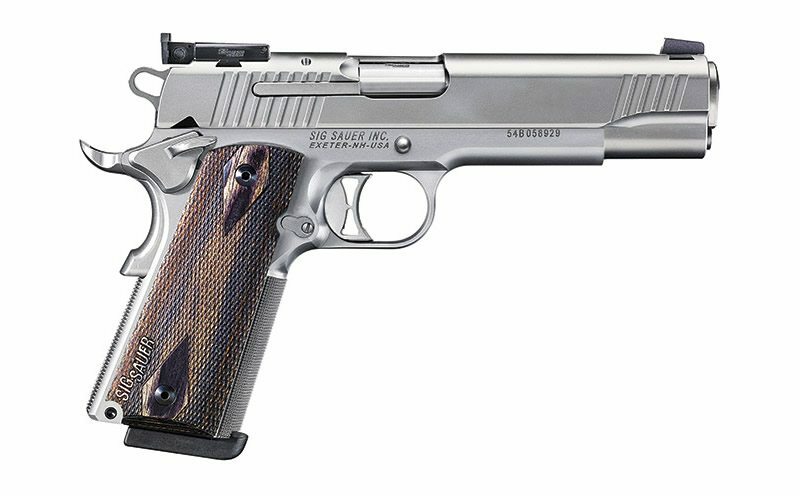 Why Consider the Sig Sauer 1911 Match Elite? While this Sig 1911 Match Elite pistol could be used for duty or daily carry, it is specifically made as a competition gun. As a full-size pistol, and rather heavy at 41+ ounces, it is not well suited to concealed carry. What it is well suited to is easy, tack-driving precision and ultra-fast follow-up shots on targets. If you’re looking for a purchase-and-go competition pistol that feels like you’re shooting a .22, this is a solid choice. The first thing I noticed was that there was almost no muzzle flip or felt recoil while shooting it. I remember spending time shooting the S&W22 Victory a while back and shooting this Sig 9mm is almost as soft as that S&W .22 pistol! I’m exaggerating a bit here, but I shoot hundreds of rounds of 9mm though pistols every week and the feeling shooting this Sig 1911 is in no way similar to any other 9mm I’ve shot. The trigger is about what you’d expect on a good quality 1911. It breaks at about 5 pounds and has a short, crisp reset. Quite nice. It’s adjustable for overtravel, but I felt no reason to adjust it. I found two points of discomfort running this gun. Firstly, racking the slide in customary fashion with my free hand gripping over the top of the rear of the slide had the front edge of the rear sight assembly gouging my palm and fingers. That large black plate and the blade of the rear sight have rather sharp corners that do not feel good at all when sending the slide home or locking it back. Secondly, the lower bump on the grip safety seems overlarge and is rather uncomfortable while shooting. It left a sore spot at the base of my thumb on my strong hand after the first couple hundred rounds. I’d recommend either replacing the grip safety with a lower-profile model. A: The sights are drift adjustable, but the rear sight has an adjustment screw that, with each click, moves the point of impact 0.25 inches at 50 yards. B: The slide-release lever (instead of a typical slide-lock lever, this one is made to be manipulated as a release) is larger, a bit easier to get to, and offers more purchase than is typical on most 1911s. I had to adjust my grip slightly to get to it, but those with large hand will find it easy to access with a normal grip. Lefties will be able to use their index finger. C: The ambi safety levers are abbreviated; shorter and with somewhat a lower profile than normal. I’m not sure what great benefit this offers, but less material means not getting in the way or getting snagged as much. D: The trigger breaks at around 5 pounds and it has a set screw for adjusting overtravel. E: As mentioned earlier, the grip safety is high profile and uncomfortable while shooting. Again, I’d recommend replacing this one with a lower-profile model. F: The magazines have an enlarged, thicker base plate to make speed reloads a bit easier. Instead of being flush with the base of the grip, these extend a bit for both easier purchase out of your mag pouch and something to hook or grab if there is any difficulty ejecting an empty. They’re not extended capacity, but better than flush mags for competition. As mentioned before, shooting this 9mm 1911 is almost like shooting a .22. It’s the softest-shooting 9mm pistol I’ve ever experienced. Controllability, therefore, is very easy and your sights will hardly leave the target. Follow-up shots and rapid-fire shooting are a dream with the Sig Match Elite. Comfort is typical for a 1911, only marred by the terrible grip safety hump. Straight off of the shelf, this pistol is an accurate, very-soft-shooting, easy to manipulate tack driver. The detail-adjusting rear sight, extended slide release, match-grade barrel, excellent trigger, reduced-size safety controls, and extended mag plates complement this already attractive pistol. The only physical negatives I am compelled to mention are the uncomfortable grip safety profile and how the rear sight is uncomfortable when you rack the slide. 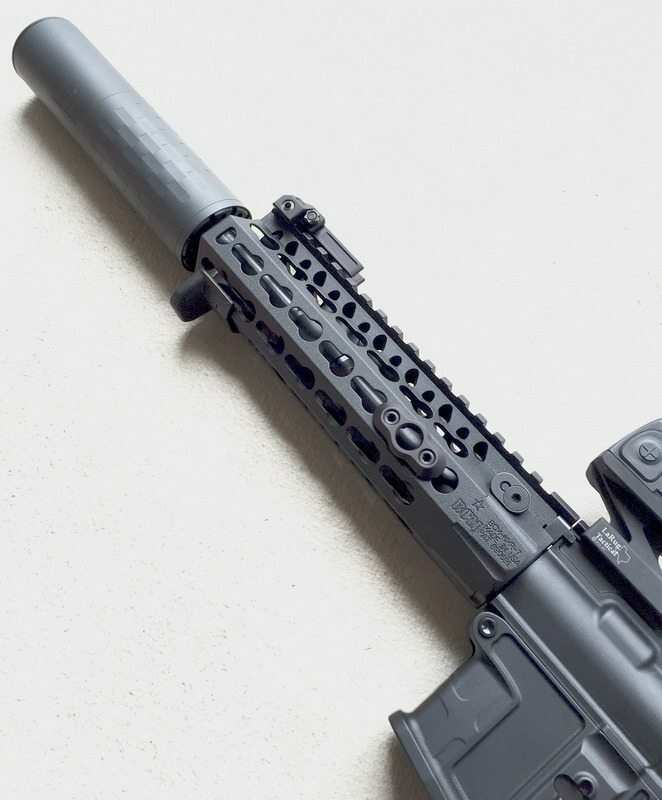 The ~$1,100 price will make this pistol beyond consideration for some. It’s a 1911, so its ergonomics are pretty much defined by this. The only deviations here would be the extended slide-release, the shorter than normal thumb-safety levers, and the uncomfortable grip safety hump. I find nothing to detract from this pistols shootability (other than mild palm discomfort after 100 or so rounds). With its low recoil, excellent trigger, and match-grade barrel, this is a tack driver. Get used to putting all 9 rounds in 1 hole. The Sig Sauer 1911 Match Elite is a purpose-made competition gun. It is not well suited to concealed carry. I’ve shot a few 9mm 1911 pistols, but none compare in the overall to the Sig Sauer 1911 Match Elite. I’ve seen photos showing the grips to be brown or black. Which color is standard? Are they hard to buy? The standard grips are brown. But 1911 grips are an easy-to-find, interchangeable accessory that come in a variety of textures, materials, and styles. Anthony, I own a Kimber 9mm 1911. The price range seems comparable to the Sig. Have you shot one and if so, how would you rate it compared to the Sig? I am not an expert shooter but my 9mm Match Elite is now my favorite pistol. I thought my Glock 34 Gen 4 was a great shooter but the Sig is even better. The grip safety does not feel uncomfortable at all and racking the slide is NOT uncomfortable to me. The only 2 cons about this pistol are the $1000 price and the magazines are a PIA the load up. Any specs on the accuracy at 50 yds? Just wondering if this is a good Bullseye gun out of the box. I had to adjust the rear sight since it was way off out of the box. Once adjusted the pistol is accurate from 25 yds. As far as shooting from 50 yds who knows since I know of nobody who has even attempted a 50 yd bullseye shot. Our range forbids any pistol shooting from 50 yds unless using a scope. Just singshot the slide and it will eliminate the discomfort to your supple, feminine palms.